Sunday, February 23th, 2014 – 17:00 – The Old 5 O’clock Sunday school! 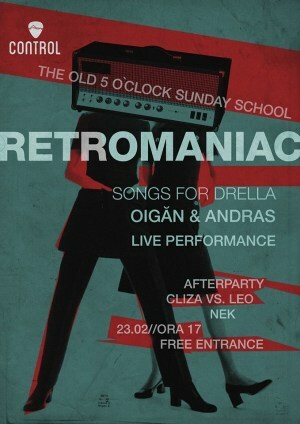 "RETROMANIAC #1" Party in Bucharest. You can get here description, reviews, address, time and details of "RETROMANIAC #1" Party in Bucharest. Visit Bucharest Tips for more Party events in Bucharest!